Starting a blog wasn’t something 19-year-old Morgan Timm had planned on doing when she went away to college last year to study speech pathology at the University of Illinois at Urbana-Champaign. But one night as she was reading some of her favorite blogs she thought, “I can do that!” The idea for her blog, Mostly Morgan, was born. 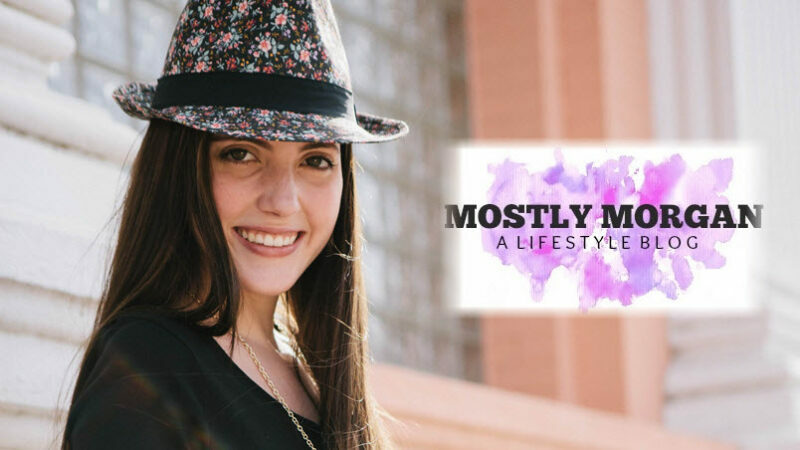 On January 28, 2014, she registered the domain name “mostlymorgan.com,” created a WordPress blog and typed her first post. In a little over a year, she’s grown the site she started on a whim into a consistent part-time income, earning an average of about $500 per month (after expenses). For anyone – especially a college student – that’s pretty good part-time money. Her blog is generally about the college lifestyle and she’s tackled many topics from the collegiate perspective including how to study for finals, keeping your dorm room clean, and how to pick the best workout gear. As her blog readership has grown, she’s even been invited to team up with some big name brands like The North Face to offer product giveaways. She’s had plenty of inspiration along the way from successful bloggers. Thomas Frank at College Info Geek got her reading blogs a few years back and is one she still reads today. Other blogs on her must-read list include Pinch of Yum, Nerd Fitness, Barefoot Blonde, A Beautiful Mess, and By Regina. “I’m amazed by their success,” Timm says. Like most bloggers, she has faced her share of writer’s block. But she says coming up with things to write about has gotten easier as she’s grown as a writer. She finds that, for the most part, her readers will tell her what they’re interested in and that helps to focus her posts. One tip she offers is to look at your blog comments for inspiration – often you’ll see reader questions and frustrations that can often translate into helpful blog post ideas. While she uses Facebook, Twitter, and Pinterest to promote her blog posts, it’s Pinterest that drives the most traffic to her blog – in some cases over 90%. One day last summer after a Pinterest “pin” went viral, traffic to her blog suddenly spiked. She went from just a few hundred visits a day to 30,000. And while every day isn’t that busy, she says that the traffic hasn’t completely slowed down back to pre-viral levels. Her traffic from other sources is slowly increasing as she begins to focus on improving her organic search rankings. After she began to get “massive traffic” from a post that rocketed to the first page in Google for a competitive search term, she’s focusing more on search engine optimization. She credits a plugin called WordPress SEO by Yoast for boosting her rankings recently. While social media can drive boatloads of traffic to your blog, it can also work against you if you’re careless. “I try not to be ‘commercial’ sounding on social media,” she says. “I want social media to be a place where readers can get to know me and reach out and talk to me if they want, rather than every post pressuring people to check out my blog.” She says that the key to making a real connection is to show people the “real” you. Like most Millennials, Timm is a digital native and uses many different online tools to make her blog work. “Investing in photography has been a game changer for me,” she says. “I recently bought a Canon EOS Rebel T5i and Adobe Lightroom, and it’s made a huge difference in the images on my blog.” She credits an increase in Pinterest shares to improvements in the quality of the photography on her blog and “pinnable” images. Timm is also a big fan of the online photo editor Canva. “I swear by Canva to make collages and add text to my images,” she says. “They have a ton of pre-made typography pairings so you can’t go wrong. Using Canva has taught me so much about creating nice images!” Canva also offers an extensive collection of tutorials to help you learn the basics of graphic design. Thank you so much for the feature – it turned out so well! I hope your story inspires other college students to start their own blogs and enjoy the same success that you have. For those who are interested, I recommend a post Morgan wrote about how she makes money from her blog.